In May 2018, Bowel Cancer UK called on the Scottish Government to tackle the growing endoscopy crisis after highlighting that two thirds of Scottish Health Boards are in breach of waiting time target for bowel cancer tests. Shortly after this, the Scottish Government announced additional funding and promised the development of a National Endoscopy Action Plan. In March 2019, the plan was published. This plan is part of the £850 million Waiting Times Improvement Plan (published in October 2018) and sets out the Scottish Government’s proposal to create sustainable endoscopy services across NHS Scotland to ensure that patients receive access to the right test, at the right time. In Scotland, the target is that no patient should wait more than six weeks for key tests that could diagnose bowel cancer. However, as of 31 December 2018 nearly 5,000 people were waiting beyond that time for a colonoscopy, and over 1,600 for a flexible sigmoidoscopy. Its vital patients are diagnosed as quickly as possible, so they can get timely access to best treatment and care. We are pleased to see all of the proposed actions in the Plan, but as we have highlighted before, the growing demand for bowel cancer tests is outstripping capacity and the current workforce is struggling to cope. Therefore, as a first step we would like to see the Scottish Government carry out a comprehensive assessment of endoscopy demand now and in the future, as well as a review of current workforce capacity, in order to provide a baseline for improvement. 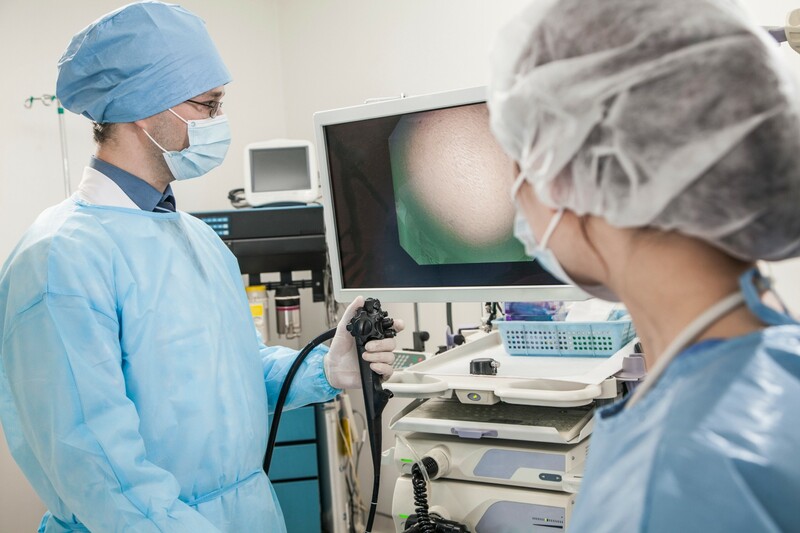 Additionally, a recent paper has demonstrated a variation in practice and performance between units delivered by the Scottish Bowel Screening Programme, and Scotland currently has no NHS endoscopy units accredited by the Joint Advisory Group (JAG) for Gastrointestinal Endoscopy. Therefore, we are pleased to see that the Scottish Government will be reviewing the accreditation of endoscopy units, as this is necessary to reduce variations in practice and improve the clinical quality of these life-saving tests. We look forward to working in partnership with the Scottish Government to implement the Endoscopy Action Plan and together we can ensure that every bowel cancer patient in Scotland has the very best opportunity for an early diagnosis.